Captain Marvel is going to be a different film for a few reasons. It will be the first Marvel film to star a female superhero in the main headline role. It will also be set back in time in the 90s. Which means characters that have died like Korath and Ronan could still be alive at the time of this film. The film which also include the Kree / Skrull war which adds a whole lot of aliens to the mix. It will connect Earth to various alien races like the Kree and the infamous alien villains the Skrulls. The Skrulls are interesting due to the fact that they are partially owned by Fox. This means a lot of the Skrull characters like Super Skrull will not be able to appear in the film. Most people did not even realize that the Skrulls could even be in the MCU until they were announced as villains in this film. There are some big groups of characters that could appear in this film including all of the Kree characters, and also characters that are tied to Captain Marvel history like Mar Vel, Genis Vel and Phyla Vel. We also know that Nick Fury is for sure in this film which opens up a lot of older SHIELD characters that could have been active in the 90s. This all makes for an interesting list of characters that could appear in the film and some fun fan boy speculation. Captain Marvel is going to have awesome toys and merchandise. Toylab is a member of the Amazon Affiliate program so that we can bring you the best deals on Marvel toys and gifts for you to check out. To check them out just click on the products below or feel free to change our search bar to better meet your needs. Characters who will be the craziest and zaniest character on our list? Keep reading to #1. Mar Vell seems like an obvious character to be in the film but the truth is that he may not be in it. In the comics Mar Vell is the super powered Kree soldier from which Carol Danvers gains her powers. He is also the original Captain Marvel and Carol initially has the moniker of Ms Marvel. However, the MCU seems to be trying to bypass or leapfrog over that and have Carol be the first the hero to use the name Captain Marvel. Basically as an act of girl power. To do this they have altered her origin but they have not revealed how. Mar Vell could still show up and have something to do with how she gets her powers. He could be a Kree alien that defects to help humanity defeat the Skrulls. Some how in his attempt to get at the Skrulls he gets tangled up with Carol and she gets his powers. Marvel would never actually have to call Mar Vell, Captain Marvel and that title could still go straight to Carol. There is some evidence that something like this may be the case if just due to the fact that the film is said to focus on the Kree Skrull War. 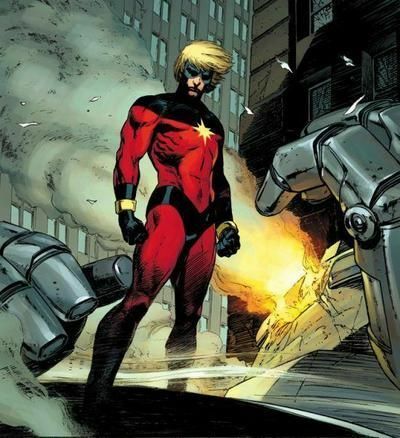 Mar Vell was a major character in those events. All that said I could see Marvel saying we don't want Mar Vell at all because he could detract from the Carol as the focal point of the film. Ronan is dead he can't be in this movie. Wait this movie takes place in the 90s and Ronan is one of the most powerful and respected Kree leaders and warriors. He could very well reappear in this film. I think the major question here would be whether Lee Pace wants to come back to portray Ronan again. He is a big ugly floating head and he leads the Kree Empire. I really don't expect to see a lot of him but he could show as a hologram communicating with Kree agents on Earth a bit like Snoke appeared in Star Wars: The Force Awakens. Doctor Minerva is longtime baddy of Captain Marvel and has fought both Mar Vell, Ms Marvel, and Captain Marvel. She also appear in the Kree / Skrull war story. Its very possible she could appear in some fashion in this film as a Kree agent. Supremor is an android like body controlled by the Supreme Intelligence. Its possible he could show up to take down some Skrulls and any humans that get in his way. Like Ronan, Korath would still be alive in the 90s. His pursuer project at different points in time put Korath on the outskirts of the Kree wars. He would make a very good candidate to show up as a villain in Captain Marvel. Once again the real question here is whether Djimon Hounsou wants to portray Korath again. Kamala Khan likely does not make sense due to the time difference. She really can't even be a baby in the film if they want her to be a teen in the present day. Still I would not be surprised if Kamala's parents showed up as an easter egg. Simply saying Skrulls seems pretty obvious because the Skrulls have already been confirmed as villains. The trick here is to figure out which Skrull characters are not owned by Fox. These would Skrulls that did not appear in Fantastic Four or at least made major appearances in other Marvel works besides Fantastic Four. My guess here is that includes Vernanke who is the queen Skrull behind the events of Secret Invasion. Really all of the Skrull agents in Secret Invasion should be available with possible exception of Super Skrull who uses the powers of Fantastic Four. However their are a whole bunch of Super Skrulls that appear in Secret Wars that do not use the Fantastic Four powers and I think all of these are fair game. Phyla and Genis Vell are the children of Mar Vell. While that would likely all change its possible with allien DNA flying around that a new origin for Phyla could begin in Captain Marvel. I actually see her as a likely character to appear in the MCU by Phase 4. 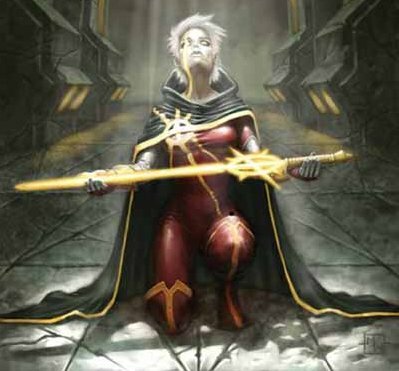 Though she might be using the Quasar mantle instead of the Phyla Vell name. I have my own crazy reasons for thinking this but be watching for Easter Eggs related to her. Agents of SHIELD has a lot of loose ends in regards to the Kree and Agent Coulson's resurrections. Who was the group that held the Kree body? How did Fury know about this group and get them to bring back Coulson? Did Agent Carter do more with Kree corpse after packing it up for the SSR? It seems a lot of Agents of SHIELD and Agent Carter stories go back to the Kree could some of those agents appear in the film. It sure seems like this would be the place to do it.